The Valletta 2018 Foundation, together with the Roberto Cimetta Fund is further enabling artists’ mobility in Europe, the Mediterranean and Asia in preparation for upcoming events of a global profile taking place in Malta in the run up to 2018. 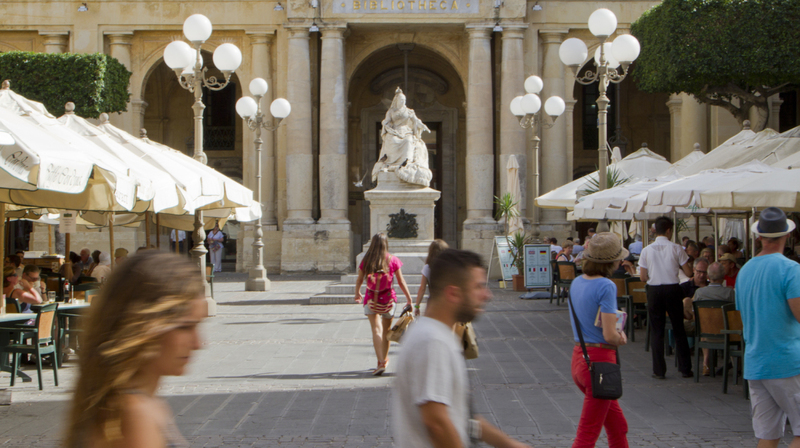 Over the past days, the Valletta 2018 Foundation continued embarking on its international drive which supports the wide visibility of the European Capital of Culture in Malta in 2018 through its collaboration with the Roberto Cimetta Fund. Events of a global profile taking place in Malta over the coming years include the hosting of the IFACCA World Summit in 2016, the Presidency of the EU Council in 2017 and Valletta 2018. During seminars in Brussels and Athens held over the past days with participants from Europe, Arab countries and Asia, Valletta 2018 presented its coordination of mobility programmes for artists and other creatives which, together with Arts Council Malta, encourage the exchange of artistic expression based on reciprocity, mutuality and collaboration. Action for mobility was sustained by regional coordination with regard to the mapping of existing cultural spaces in Malta and abroad. French, Portuguese and UN support, among others, is allowing preparations for the hosting of the second annual conference focusing on cultural mapping in October in Valletta, to proceed swiftly. This is part of a series of annual conferences to address different issues related to Cultural Relations in Europe and the Mediterranean.